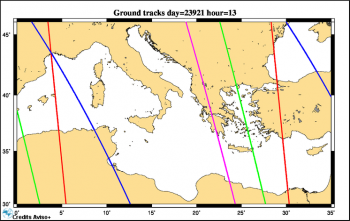 The ground tracks are displaying (and are cumulating) for each satellite and over a 10-day period (Jason-2 cycle) with a 1-hour delay between each frame. Days are written on the top of the maps with the units "Julian Days". 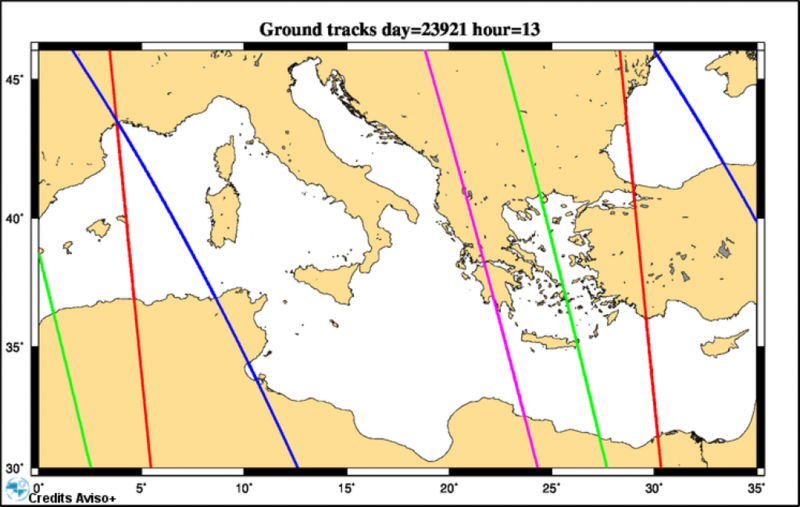 The day for the first map (23 921) corresponds to 30 June 2015. HY-2A : 14 and 168 days. A multisatellite system as this 4-satellite configuration allows more along-track data for model assimilation, higher resolution of multi-mission mesoscale maps and better resilience of the multi-mission observation system if an old altimeter becomes unavailable.